What is ketchup? About the ingredient ketchup. Including 805 recipes with ketchup, nutrition data, and where to find it. 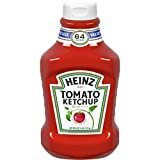 Ketchup, (sometimes spelled "catsup") is a condiment, usually made from tomatoes. 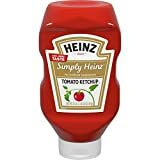 The ingredients in a typical ketchup are tomato concentrate, vinegar, corn syrup or other sugar, salt, spice and herb extracts (including celery), spice and garlic powder. Allspice, cloves, cinnamon, onion, and other vegetables may be included. Ketchup has health benefits which are offset by the salt and sugar content. Ketchup is a source of lycopene, an antioxidant which may help prevent some forms of cancer. This is particularly true of the organic brands of ketchup. Organic brands have three times as much lycopene. 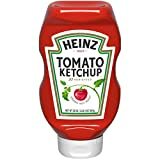 Ketchup, much like marinara sauce and other cooked tomato foods, yields higher levels of lycopene per serving because cooking makes lycopene in tomatoes more bio-available. More detail Order now to save $0.33! More detail Order now to save $0.36! 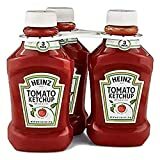 Ketchup is usually found in the condiments section or aisle of the grocery store or supermarket. 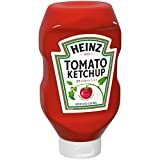 Ketchup is a member of the Vegetables and Vegetable Products USDA nutritional food group. How much does ketchup weigh? There are 819 recipes that contain this ingredient.